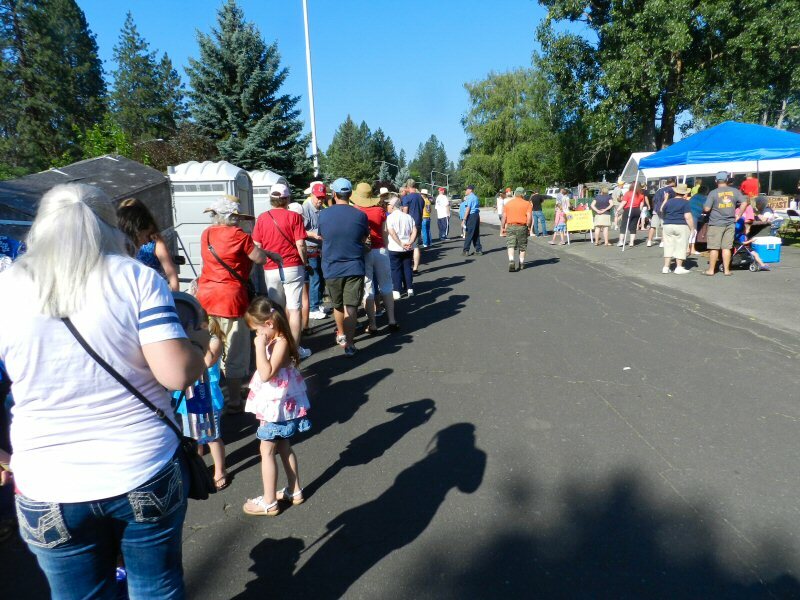 Folks lined up down the block for pancakes, eggs, and sausage at the Burney Lions Club Chuck Wagon breakfast on Saturday morning, July 2. 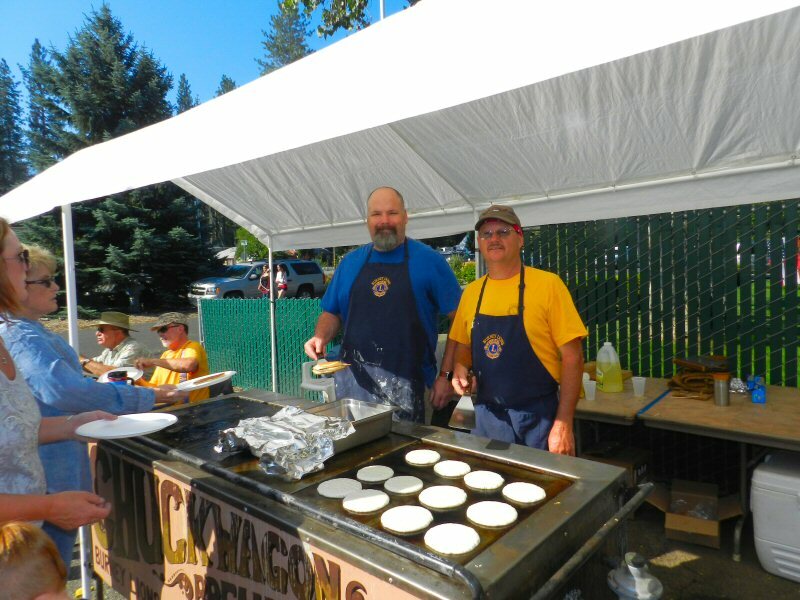 The chuck wagon breakfast is one of the major fundraisers for the Lions Club each year. Lion Walt Libal said that event raises about $3000. Altogether, the Burney Lions raise about $25,000 a year. Of that, $6000 goes to support local scholarships. The rest is divided amongst various local charities. 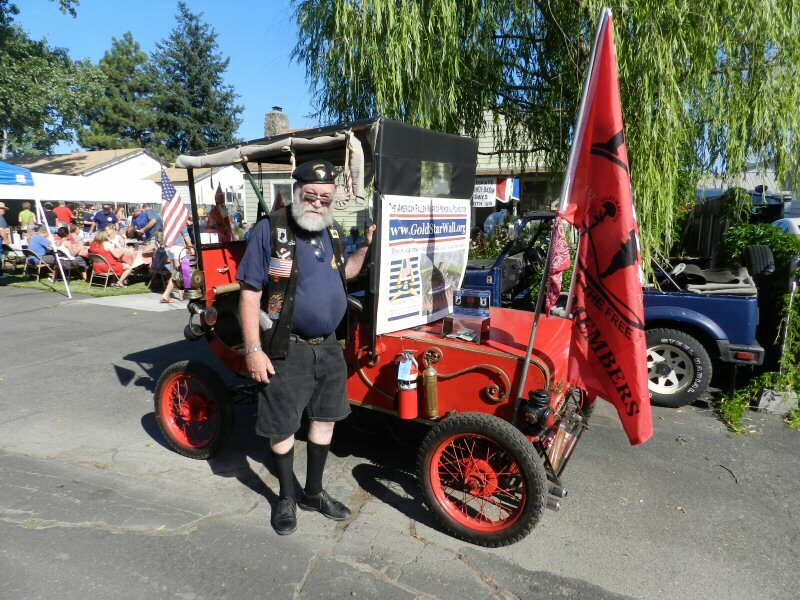 Adding to the event, Raymond Pittam brought his 1901 Oldsmobile to support American Fallen Warriors. The Soroptomists also held a bake sale to raise funds for the Lions scholarship program. 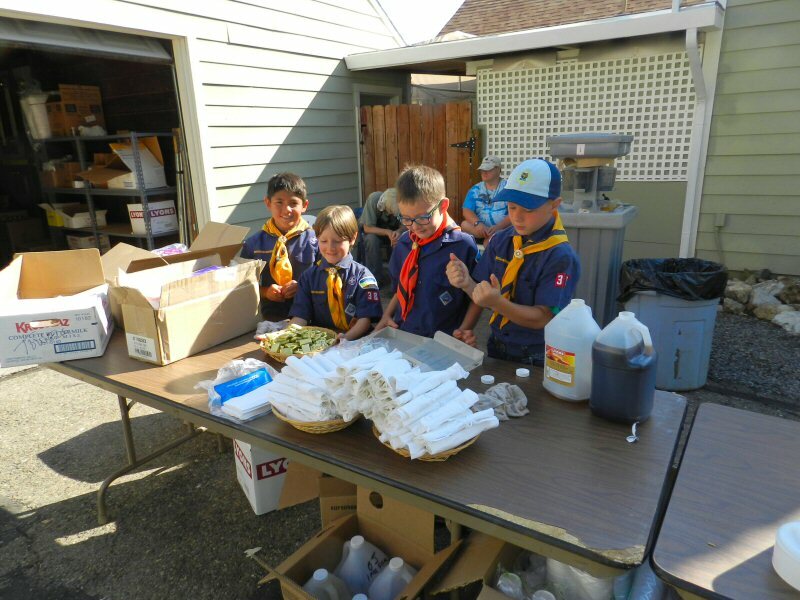 Scouts from Cub Scout Pack 38 came to help serve and clear the tables. Lion Bill Ford is their den master. 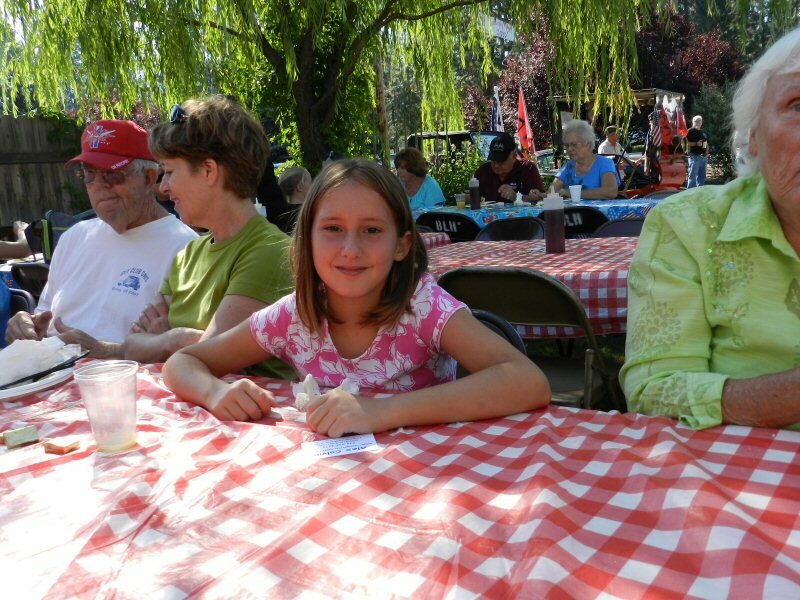 One young resident, Melisha Laree Carpenter, age 8, attended the breakfast with her great-grandmother.